Author and illustrator, Christina Booth, works from her bush studio surrounded by amazing native animals, colourful birds, her chickens, her two dogs, and studio cat. She considered being an Olympic athlete, a hairdresser or an archaeologist when she grew up, but she didn’t. She wasn’t as good at them as she was at drawing and writing stories, so she became an author and illustrator. An award-winning author of seven, and illustrator of over twenty books, Christina loves that she makes up stories and colours in for a living. Awarded a CBCA Honour Book Award for her book, Kip, Christina has won numerous notable Book Awards and the Environment Award for Children’s Literature for her story, Welcome Home. Trained as a teacher and painter, Christina has always loved books, art and reading. Her earliest memories include going to the library in her pyjamas, and cuddling books in bed instead of a teddy. 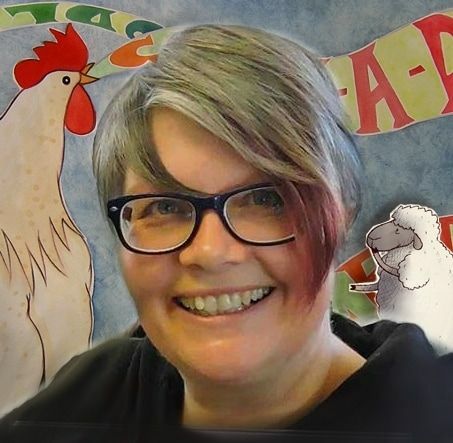 Christina is represented by her agent, Brian Cook (The Authors' Agent) and by The Children's Bookshop Speakers' Agency, is a Books in Homes Program ambassador, the ASA Representative and northern SCBWI Coordinator for Tasmania.